Kaanaanmaa are proud to be one of the few jewellers left in the UK who hand-make engagement rings onsite. We select the finest conflict free diamonds for you to choose from. Whether you prefer white, yellow or rose gold or platinum; a traditional solitaire engagement ring, art deco halo engagement ring, or perhaps you would like to design your own bespoke engagement ring, we at Kaanaanmaa offer a range of beautiful choices for you to select to take away or have made to order. We are also proud to offer The Kaanaanmaa Proposal. 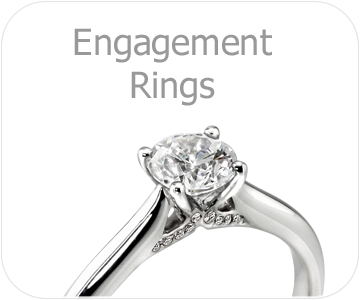 Every engagement ring comes with our free annual shining service, free valuation (and further discounted valuations), and a 10% discount on wedding rings. Upon purchasing your wedding rings, you are offered The Kaanaanmaa Confetti Proposal with benefits including an at home wedding ring selection service, free engraving and 10% discount on eternity rings. Everything we do at Kaanaanmaa comes with our commitment to the highest standards, quality craftsmanship and customer satisfaction guarantee. Visit Kaanaanmaa today to discuss your requirements, or ring us to make an appointment with a goldsmith.